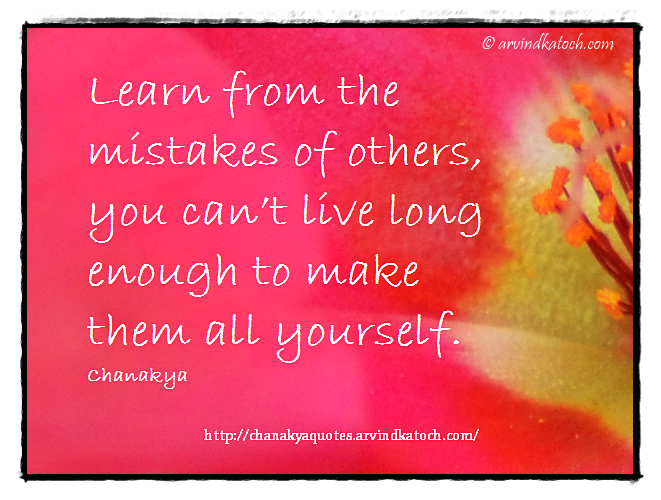 "Learn from the mistakes of others, you can’t live long enough to make them all yourself. Chanakya"
Chanakya Wise Quote Meaning- We all can avoid many mistakes in life by learning important lessons from the mistakes made by others. In this way, we can save valuable time to do many other important things.